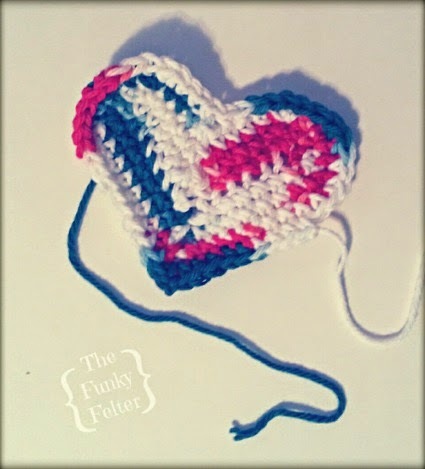 Making some crochet heart sachet ornaments for Christmas! For the past couple months, I have put down my felting needles and picked up my crochet hooks to work on handmade Christmas gifts. I plan to pick up those needle felting tools soon, but in the meantime, I have been sharing some of my holiday gift projects. So this is the little heart that I've worked up. 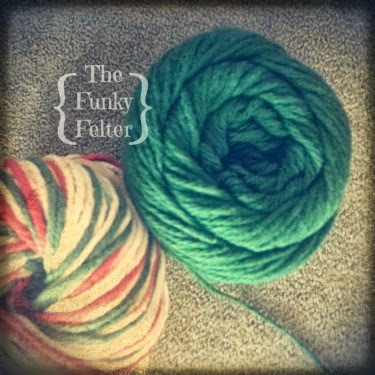 It is actually half of a set that join together forming a crocheted heart ornament. The pattern is very simple - great for beginners or for long-time crocheters who want to make several of these at once for coworker or teacher gifts. I may try to put some potpourri or scented sachets inside of them. These would be excellent for putting in drawers or hanging in closets as scented sachets after the holidays. I've thought about making a few and stacking them, tied with a ribbon, as Christmas presents. For now, I'm just experimenting and trying to see if I want to leave this pattern the same or mix it up with some adaptations - that's usually what happens! See the link below for this pattern by Red Heart Yarns (disclaimer: I have no affiliation with this company as of this post, I just like their quick and easy pattern).